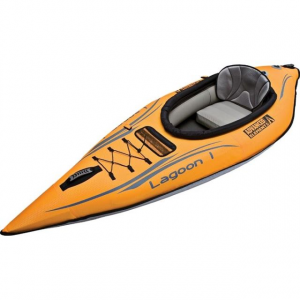 BIC Sport Yakkair HP1 Inflatable Kayak - Stable, fast, lightweight and super comfortable, the YAKKAir HP One from BIC Sport is a fully-equipped inflatable kayak. 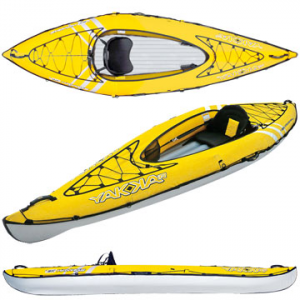 Reduced wind resistance plus the combination of a keel and a high-pressure inflatable hull makes the YAKKAir HP easy to steer, giving it performance comparable to that of rigid designs. 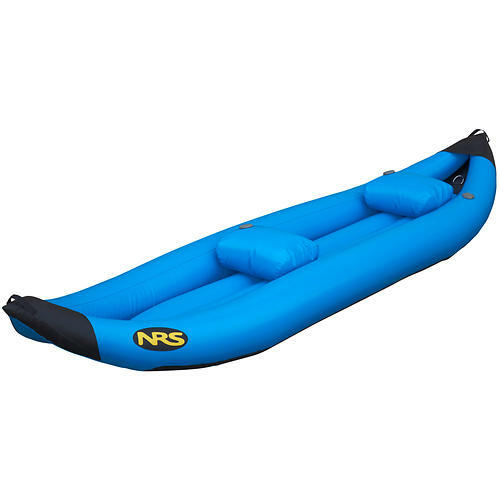 You'll also be paddling in dry comfort with the rigid floor design, anatomic belt backrest and adjsutable footrest. The YAKKAir HP's smooth glide and excellent handling means you can get away from the shore and go exploring in complete safety. Folded down into a carry bag, theYAKKAir HP is easy to carry on foot or in the trunk of your car, and is fully inflated for use in minutes using a high pressure pump with a pressure gauge. 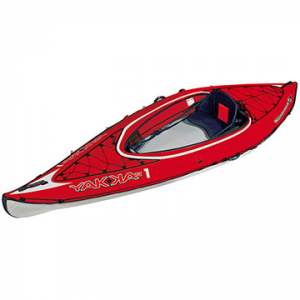 Perfect for your seaside holidays, the BIC Sport YAKKAir HP One performs better and gives a more comfortable ride than conventional inflatable kayaks. 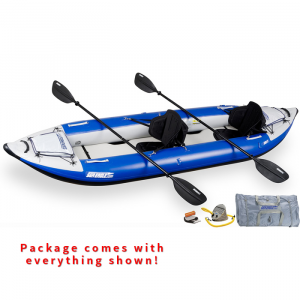 The Bic YAKKair HP1 inflatable kayak uses an innovative design to maximize your fun on the water. When you step into the cockpit of the YAKKAir HP1, the high pressure floor presses down on the keel of the kayak and causes the outer PVC skin to stretch and curve. 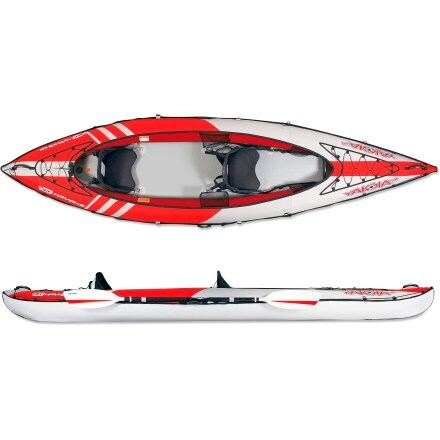 Resulting double-concave shape of the hull offers excellent tracking, high manueverability and performance similar to a hard-shell kayak. The folks at Bic have engineered durability right into the YAKKair: 2 main urethane bladders are enveloped in durable Dacron and fitted into a PVC outer skin. Rigid, high-pressure floor offers buoyancy, high responsiveness and dry comfort. Anatomic, adjustable backrest and adjustable footrests create a comfortable paddling position. 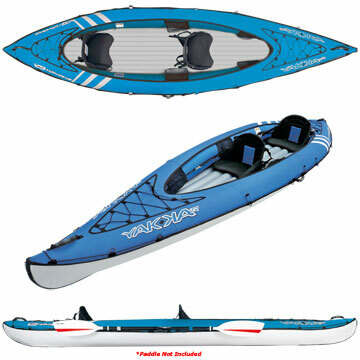 YAKKair includes a paddle keeper, interior mesh storage pockets, perimeter lines and stretchy deck rigging. Carry handles at bow, stern and to the left and right of the cockpit ease transport to the water. Comes with a high-pressure pump and gauge, carrying backpack and repair kit. The BIC Sport YAKKair HP One is not available from the stores we monitor. It was last seen November 3, 2017	at Outdoorplay.